Ah, how adorable. Love the "stripes"! Love this, my grandkids, too! 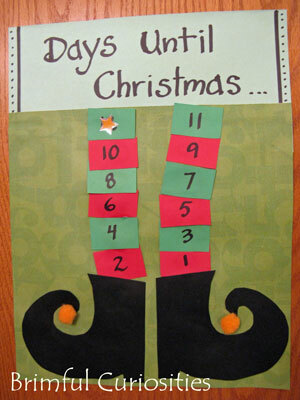 This is such a cute elf craft! Love it!! In fact, now I'm going to be inspired by YOU and make one too :-) Thanks for the shout out! 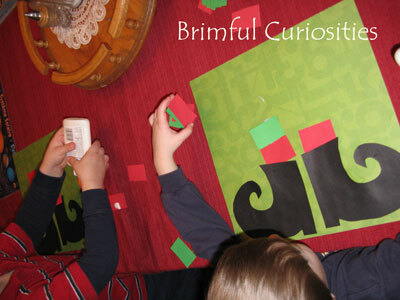 This little elf craft is so cute... I wish I had seen it sooner before we already started one this year. 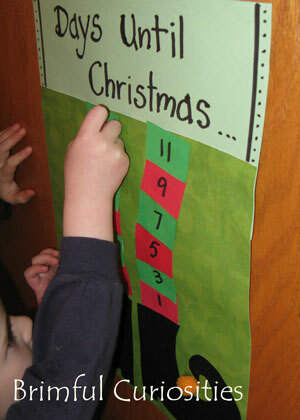 I will definitely make this one next year! Just posted about it on CraftGossip! very cute! My boys would love that-- and my oldest is just starting to "get" ab patterns! I wrote a little poem for this craft. Thanks for sharing this cute idea! so we can ENJOY the December air. this must be the longest month of the year! Red & green stockings show me the amount. for the day to celebrate! ‘til my Elf’s bells merrily ring.